from lazy stream meandering through lush, thick grasses there. but there was no where I could cross to realize that dream. and started wading 'cross the stream to get another view. But splash! Face down I tripped and fell, then crawled out soaking wet. I trudged myself downstream a bit. His truth and my eyes met. It's 'one' to 'zero'. God has won and that's the final score. 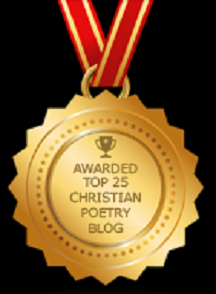 of what God's done for me and you, just there downstream a bit. 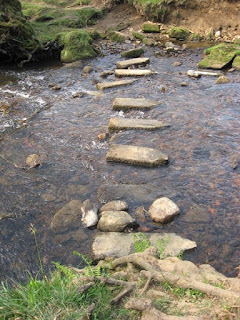 if patient, we can't learn to be, to find His stepping stones.